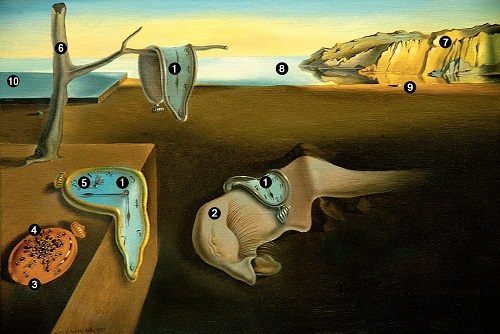 The Persistence of Memory hidden symbols. 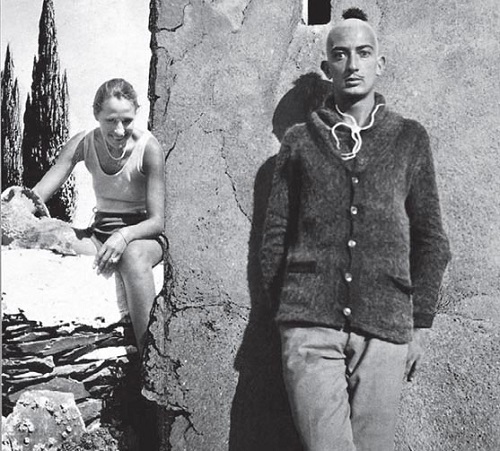 In early August 1929 a young Dali met his future wife and muse Gala. 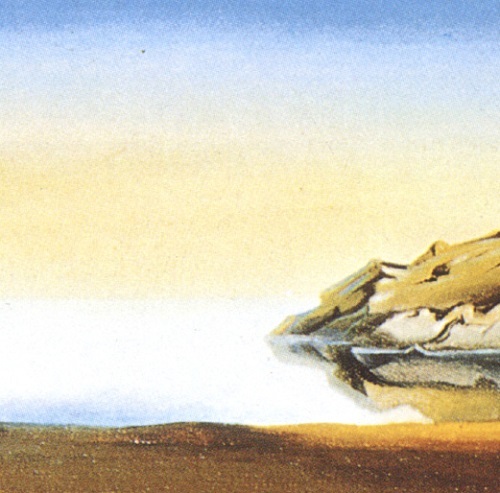 Their union was the key to the incredible success of the artist, and influenced all his subsequent work, including his iconic painting “The Persistence of Memory.” Salvador Dali painted it in 1931. 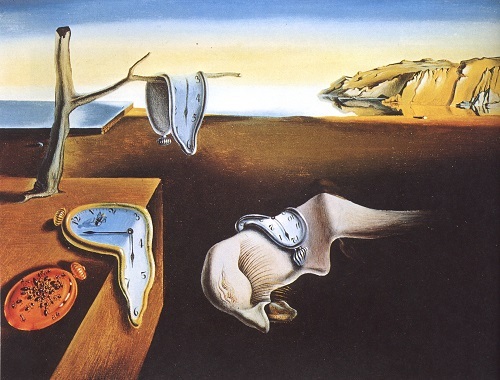 Since 1934 “The Persistence of Memory” has been in the collection of the Museum of Modern Art (MoMA) in New York City. (1) Flexible hours – a symbol of the non-linear, subjective time, arbitrarily current and uneven filling the space. 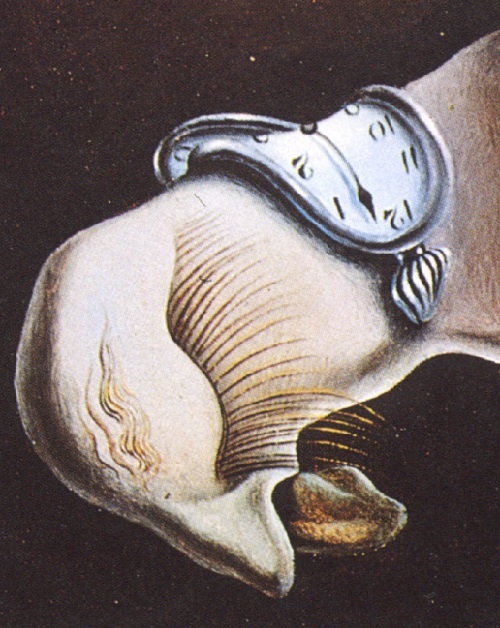 Three clocks in the picture – past, present and future. 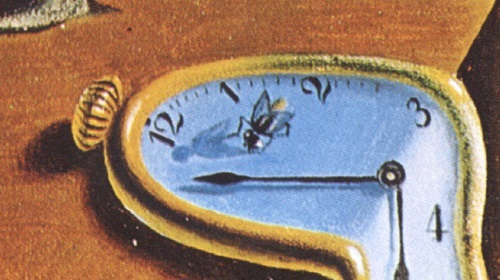 Dali admitted he thought about Einstein when drawing soft watches (meaning the theory of relativity). (3) Solid-clock dial on the left lies down – a symbol of objective time. 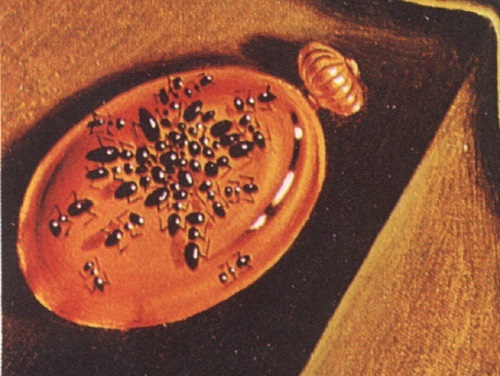 (4) Ants – a symbol of decay and decomposition. 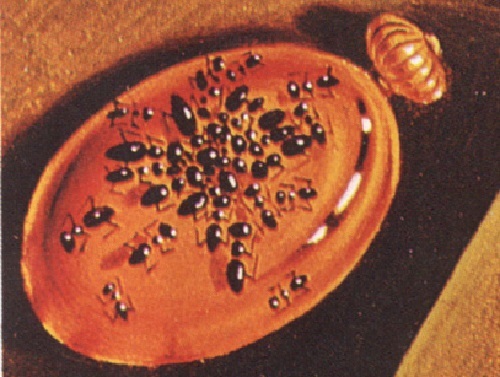 Left on the clock, the only surviving hardness, ants also provide a clear cyclic structure obeying to the divisions of chronometer. However, this does not obscure the meaning that the presence of ants at the same time – a sign of decomposition. 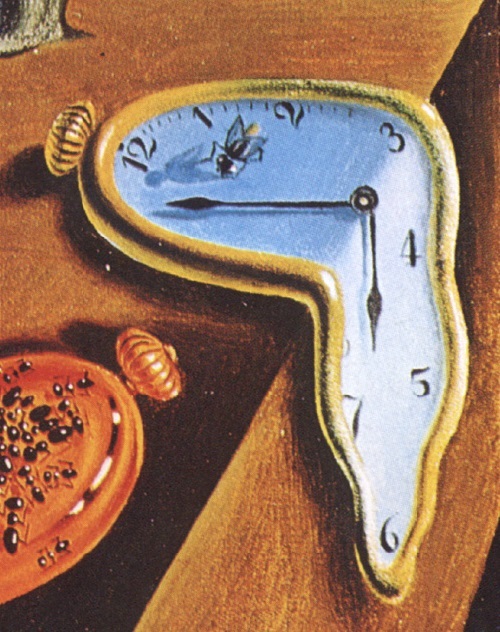 According to Dali, linear time devours itself. (6) Olive. For the artist, it is a symbol of ancient wisdom, which, unfortunately, have sunk into oblivion (as it is shown in dry tree). 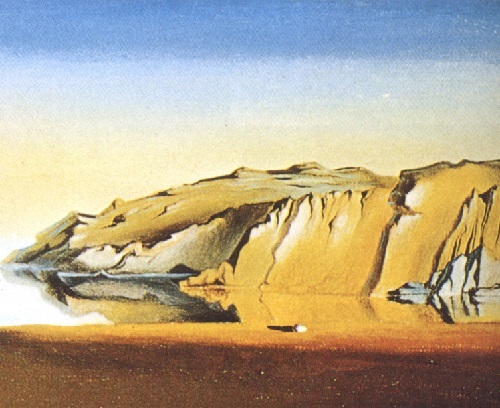 (8) Sea – Dali symbolized immortality and eternity. The artist considered it an ideal space for travel, where time flows not with an objective rate, but in accordance with the internal rhythms of consciousness traveler. (9) Egg. 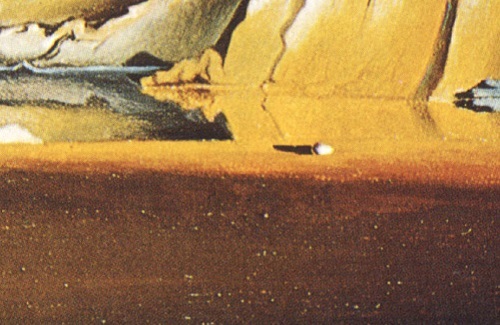 Mundane Egg in the works of Dali symbolizes life. 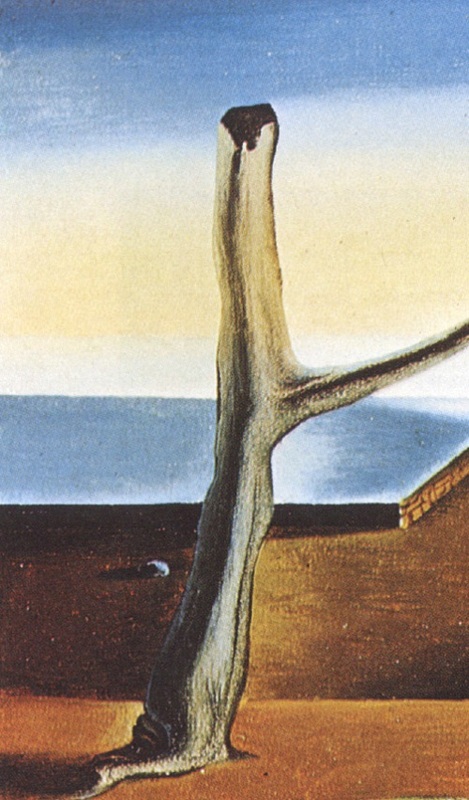 The artist borrowed this image from the Orphic – Greek mystics. According to the mythology from the Orphic Mundane Egg was born first androgynous deity Fanes, created the people, and the two halves of its shell formed heaven and earth. (10) Mirror, lying horizontally on the left. It is a symbol of impermanence and changeability obediently reflecting both subjective and objective world.